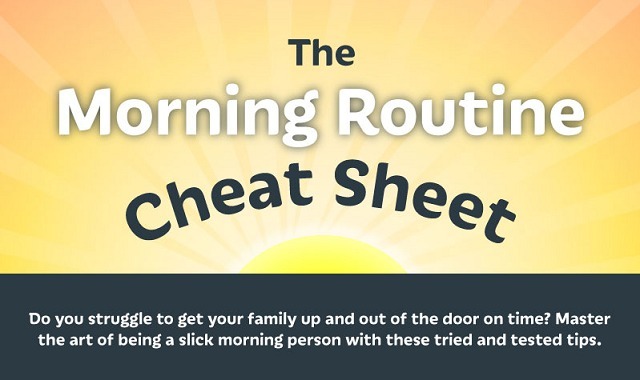 The Morning Routine Cheat Sheet #infographic ~ Visualistan '+g+"
Mornings can be frantic, especially for those with big families. If you want to make your complicated morning journey easier on you and everyone you live with, then this morning routine cheat sheet is just what you need. The infographic will help you to nail everything from getting out of bed, to using the bathroom, having breakfast, getting dressed, preparing lunch, packing your bags and leaving the house!